For the last three months I’ve been bicycle touring around Europe on a Co-Motion Pangea Co-Pilot touring bicycle. I’ve been to Iceland, England, France, Belgium, the Netherlands, Luxembourg, Germany, Switzerland, Liechtenstein and Austria with the Pangea as my main means of transportation. What you see below are the 25 best photos of me and/or my bicycle in these various countries. 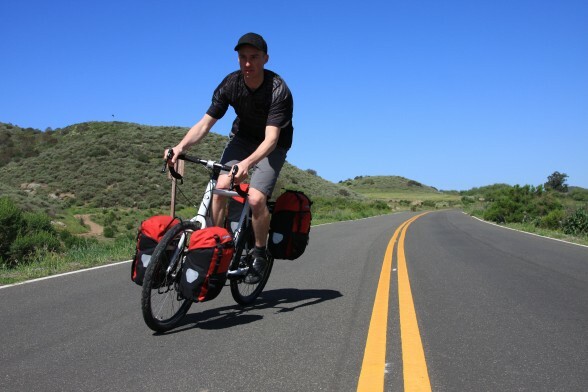 On the bike, off the bike, loaded or unloaded, in the streets or on the trails – the Co-Motion Pangea Co-Pilot is an incredible bicycle touring machine! Which of the 25 photos above is your favorite? 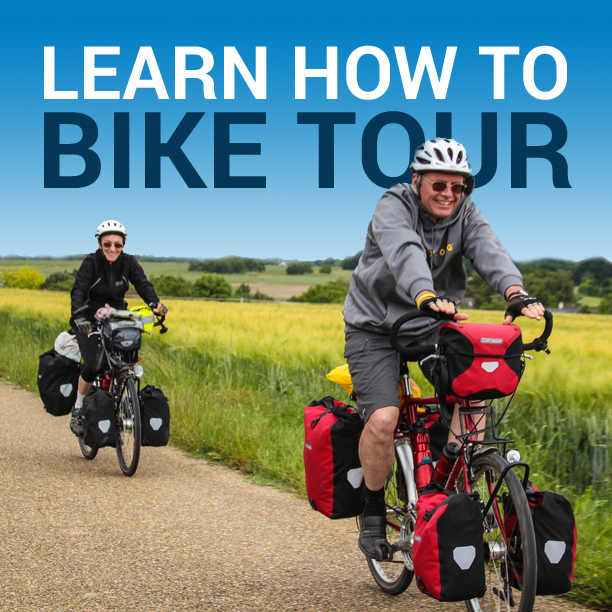 This entry was posted in Bicycle Touring Pro Articles, Bicycles, Main Articles, Products and tagged bicycle couplers, co-motion, co-motion pangea, co-motion pangea review, co-motion pictures, comotion photos, couplers, full size folding bicycles, s&s couplers. I hope that Turkey is treating you well. Do you have any articles about women who have toured across the world/multiple countries solo? Darren, What’s the deal with the bike. I see you with fenders, then without them ???? As one of the few people that have traveled with a Bike Friday AND an S&S equipped bike (and have blogged about it), I’d love to see how they compare. You’re going to get an article about just that! I plan to do an in-depth comparison article about the Bike Friday New World Tourist and the Co-Motion Pangea. Soon! I promise. hi Darren have u ever travelled thru Hungary ? If u did how did u managed the interstates roads that are interdicted for the bicycles ? I have travelled on the interstates roads because i couldnt find alternatives … and the police passed me several times but they didnt care about it … ps DANGEROUS ROADS !!! I’ve not been to Hungary yet, but I have traveled in dozens of other European countries. Most of the time you do want to (and must) avoid the freeways in any country that you are traveling in. But sometimes this simply isn’t an option and there are places in the world where you must ride on the freeway if you wish to continue your journey. I usually try and find the police to ask before jumping on the freeway – just to make sure it is okay. But you are right, in a lot of places you can ride on the freeway and the police don’t really care. They don’t care because there are no rules against riding on the freeway, because they understand that the freeway is the only way for a cyclist to continue through, or because there are so few cyclists on the roads that when they see one cycling on the freeway they don’t know what to do. Whatever the case, be careful! But I would always try and find an alternative to cycling on the freeway if you can. The freeway is always the last option. So I got a question for everybody, what do you think about building/buying a camper trailer for when you go touring? I want your ideas on that. Any mechanical problems with the Co-Motion on the trip? Not being really mechanical I was thinking of getting a touring bike fitted with a Rohloff hub and belt chain. Any thoughts? Kevin, no problems with the bike thus far – other than your typical flat tire and the use of the bike’s S&S couplers, which is kind of mechanical in a very, very basic sort of way. The Rohloff hub might be a great way for you to go!